IT teams face a lot of challenges keeping business systems in operation. Dealing with compliance can get in the way of that progress. But without the right compliance solutions, your business itself is at risk. The number one goal of your enterprise is to drive business value. There are countless human and technological assets that go into its development. It’s easy to overlook the necessity of compliance. But compliance has become as innovative as any other branch of IT. New technologies streamline compliance management for large companies. This is true even when managing several regulations and mandates. Artificial intelligence (AI) and machine learning solutions are popular for driving front-end solutions. But several smart technologies are transforming back-end and policy practices as well. 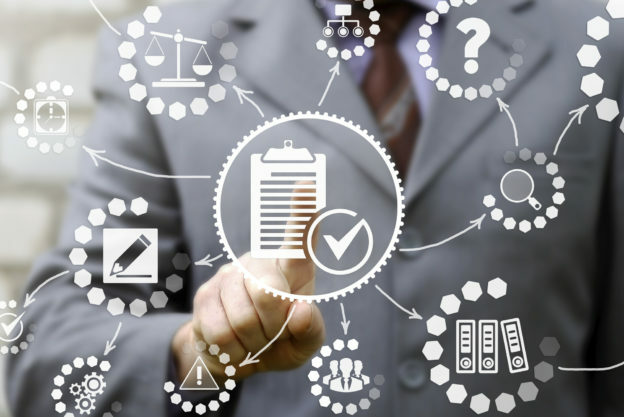 The following three compliance solutions are already transforming enterprise companies. Some aspects contribute to generating business value and cost-savings as well. Once a thing of fantasy, AI is revolutionizing compliance systems in business. AI can process vast amounts of data and call for specific documents or sequences. It has the power to act upon its discoveries if errors or risks arise. AI is most often used in the financial services industry. AI helps these companies manage millions of transactions and protect against criminal activity. It has become advanced to the point that it is suitable for IT compliance solutions as well. In IT compliance, AI reduces the cost of finding and remediating contracts. It can scale out its capacity to do this at rapid speeds as well. AI also functions as a decision maker. It relieves your team of tedium so they can focus on creating business value. You may have stratified your business across one or more IT environments. This may include cloud, virtual, or on-premise solutions. Advanced compliance solutions let you manage these environments from one place. These solutions centrally manage and monitor access and changes to your data. They make it easier to detect configuration problems as well. Centralizing compliance helps you record changes to comply with the most recent mandates. Reporting is fundamental to consistent compliance. Inconsistent reporting from multiple sources can slow down IT processes. It could even jeopardize your business. Your IT team needs dependable and consistent reporting. It should always be accessible and easy to understand. It should provide data from multiple platforms in a concise way as well. The best solutions incorporate browsing features and dashboards that simplify navigation. You can find solutions that unify data to make it approachable in this way. Inclusive reporting increases accuracy and provides better insights for your team. Perhaps it’s not economic to adopt these solutions yourself. Many third parties house comprehensive solutions that provide these services. You can relieve yourself of infrastructure costs by outsourcing compliance to the experts. The AME Group provides solutions that do more than streamline your back end. We’re a solutions provider that has your long-term profitability in mind. Contact us for a consultation. Once we know your pain points, we’ll carefully put together a solution that’s right for your business. Business success never comes without the right protection. Choose your solution carefully using the criteria above. But make sure that solution contributes to your business success.